Your Apple-powered smart home of the future needn't be limited to the HomeKit ecosystem, but venturing outside will bring some restrictions. HomeKit is Apple's upcoming framework for smart home devices such as lightbulbs, door locks, garage door openers, and thermostats. Many of these devices will connect directly to users' iPhones via Bluetooth or Wi-Fi—no separate hub device required—for unified voice control through Siri. They'll also be able to connect with an Apple TV, allowing for Siri voice controls when users are away from home. Apple will also let users connect devices that aren't approved under the the Made for iPhone (MFi) program, using a separate bridge device that hooks them into HomeKit. This will allow companies to make their existing range of smart home devices compatible with Apple's framework, even if they were created without MFi certification or use alternative networking protocols such as ZigBee or Z-Wave. Any HomeKit device with the MFi logo can connect directly to the phone over Wi-Fi or Bluetooth, and will have full HomeKit capabilities, including remote control through Siri. Bluetooth LE devices can only connect to HomeKit through a bridge if they don't actually control the home. So while you can use non-MFi motion sensors to trigger other HomeKit devices around the house, you can't control your non-MFi light bulbs with Siri. Wi-Fi devices that don't bear the MFi logo won't get to connect with HomeKit using a bridge device. Nest, for instance, would have to get MFi certification to allow direct Siri controls. 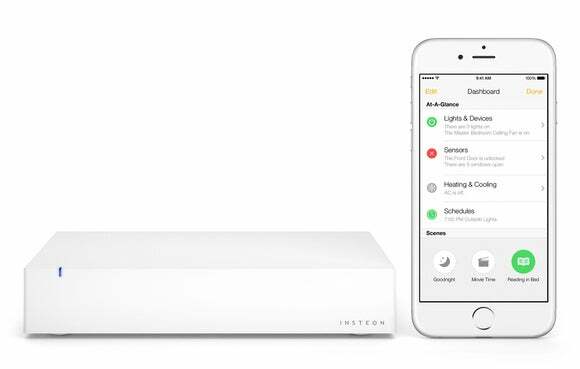 Devices that use alternative networking protocols such as ZigBee or Z-Wave can connect to HomeKit through the use of an MFi-certified bridge device. A device that doesn't work with HomeKit isn't useless, of course; it just means you can't control it in a unified manner with your HomeKit devices using Siri. Why this matters: Simplicity and security are major obstacles in the way of smart home acceptance, and that seems to be what Apple is targeting with these rules. As 9to5Mac points out, Apple won't allow bridged devices to trigger door locks or other products that provide physical access to the house, possibly because they represent a weak spot in smart home networks. Bridges also add complexity, so it's no surprise that Apple is looking to discourage their use and steer people toward simpler Wi-Fi and Bluetooth-based setups.